A Guest Post by Brian Cavanaugh of SmarterBorrowing.com. Overall, I am expecting to see some movement in the markets and mortgage rates, especially if we get some surprising results from the week’s data or news about Europe’s financial crisis. Despite the holiday season, we need to keep a cautious approach toward rates because we are likely to see very thin trading (light volume) as a result of many traders keeping short hours or home for the holiday altogether. This means that firms that trade bonds will likely be keeping only a skeleton staff the latter part of the week and raises the possibility of a stronger reaction to surprises in the economic data than we normally would see. The least important day for mortgage rates will likely be tomorrow unless something drastic happens overnight. We will probably see the most movement in rates Friday, but Thursday’s economic data can also move mortgage pricing noticeably. With the Christmas holiday next weekend, it is being observed next Monday. The bond market will close early this Friday afternoon ahead of the holiday and will reopen next Tuesday morning. Accordingly, proceed cautiously this week if still floating an interest rate and closing by the end of the year. proceed cautiously this week if still floating an interest rate and closing by the end of the year. This is only my opinion of what I would do if I were financing a home. It is only an opinion and cannot be guaranteed. Brian Cavanaugh of SmarterBorrowing.com is back with his Massachusetts Weekly Mortgage Rate Update. Scroll to the bottom for Brian’s valuable Massachusetts Mortgage Rate Lock Advice! Overall, I am expecting to see a much more active week in the financial markets and mortgage pricing than last week. The most important day of the week is either Tuesday or Friday due to the reports being posted those days and the FOMC meeting scheduled. Please maintain contact with your mortgage professional if you have not locked an interest rate yet because we may see sizable changes to mortgage pricing more than one day this week. This week is fairly busy in terms of the number of economic releases and other events scheduled that may influence mortgage rates. There are only four pieces of economic data for us to watch, but three of them are highly important to the markets. In addition to the economic reports, we also have the last FOMC meeting of the year and two important Treasury auctions that are likely to impact bond trading and mortgage pricing. Those events, coupled with the likelihood of further overseas developments from Europe and possibly others, make it highly likely that we will see plenty of movement in the markets and mortgage rates this week. There is nothing of relevance scheduled for tomorrow. This means we can expect the stock markets to drive bond trading and mortgage rates again. If the major stock indexes open the week with gains tomorrow morning, bonds may move lower, pushing mortgage rates higher. But a weak open in stocks could lead to slightly lower mortgage rates tomorrow. We could also see traders position themselves ahead of the week’s agenda, so even though there is nothing concerning on the calendar, we could see mortgage rates change. The week’s most important economic data comes Friday morning when November’s Consumer Price Index (CPI) is posted. It is similar to Thursday’s Producer Price Index, except it tracks inflationary pressures at the more important consumer level of the economy. Current forecasts call for an increase of 0.1% in the overall index and a 0.1% rise in the core data reading. The core data is watched more closely because it excludes more volatile food and energy prices, giving a more stable reading for analysts to consider. This data is one of the most watched inflation indexes, which is extremely important to long-term securities such as mortgage related bonds. Rising inflation erodes the value of a bond’s future fixed interest payments, making them less appealing to investors. That translates into falling bond prices and rising mortgage rates. Tuesday has two important events, starting with November’s Retail Sales report. This 8:30 AM ET release will give us a key measurement of consumer spending by tracking sales at retail level establishments. This data is highly important to the markets because consumer spending makes up two-thirds of the U.S. economy. Rapidly rising consumer spending raises the possibility of seeing solid economic growth. Since long-term securities such as mortgage bonds are usually more appealing to investors during weaker economic conditions, a large increase in retail sales will likely drive bond prices lower and mortgage rates higher Tuesday. Current forecasts are calling for an increase of 0.6% in November’s sales. The last FOMC meeting of the year will also be held Tuesday, adjourning at 2:15 PM ET. There is not much debate about what the Fed will do at this meeting with no chance of them raising key short-term interest rates. Therefore, the post meeting statement will likely be the sole source of a market reaction. This statement has the potential to have a significant influence on the markets and mortgage rates as investors look for any indication of what and when the Fed may do next. One potential move would be more debt purchases by the Fed. An announcement of another round of quantitative easing (QE3) could help boost bond prices and improve mortgage rates Tuesday afternoon. Besides that, it is believed that there isn’t much more the Fed can do to help boost economic activity. There are Treasury auctions scheduled for several days this week, but the two important ones are the 10-year Note sale Tuesday and the 30-year Bond sale Wednesday. Tuesday’s auction is the more important of the two and will likely influence mortgage rates more. Results of each sale will be posted at 1:00 PM ET. If they were met with a strong demand from investors, particularly international buyers, we should see afternoon strength in bonds and improvements to mortgage pricing those days. On the other hand, a weak interest in the auctions could lead to upward revisions to mortgage rates during afternoon hours. Wednesday has little to be concerned with, except for the 30-year Bond auction. November’s Producer Price Index (PPI) will be posted early Thursday morning. It measures inflationary pressures at the producer level of the economy. There are two portions of the index that are used- the overall reading and the core data reading. The core data is the more important of the two because it excludes more volatile food and energy prices. If Thursday’s release reveals stronger than expected readings, indicating that inflationary pressures are rising, the bond market will probably react negatively and drive mortgage rates higher. If we see in-line or weaker than expected numbers, the bond market should respond well and mortgage rates should fall. Current forecasts are showing a 0.2% increase in the overall index and a 0.1% rise in the core data. November’s Industrial Production data is also scheduled to be posted Thursday morning, but a little later than the PPI. This report gives us a measurement of manufacturing sector strength by tracking output at U.S. factories, mines and utilities. Analysts are expecting it to show a 0.2% increase in output, indicating modest manufacturing growth. A smaller than expected rise would be good news for bonds, while a stronger reading may result in slightly higher mortgage pricing. However, the PPI release is more important to the markets than this data is. Are you a possible Massachusetts First Time Homebuyer? Do you have a Real Estate client inquiring about current Mortgage Rates? Do you have any Refinancing questions? Should you be thinking about Refinancing out of your ARM (Adjustable Rate Mortgage)? Have your Real Estate clients been Pre Approved? This is only my opinion of what I would do if I were financing a home. It is only an opinion and cannot be guaranteed to be in the best interest of all/any other borrowers. Mortgage Lending Advisory: Fannie Mae, Freddie Mac and FHA Conforming Loan Limits Dropping On Sept. 30th! Fannie Mae and FHA Conforming Loan Limits Dropping. Close by 9/30/2011 or sooner! A guest post by David Gaffin, Senior Mortgage Lender, from Greenpark Mortgage. As Congress lets the temporary increase in conforming loan limits expire October 1st, we have received word that some investors will require that all loans affected by these limits close on or before September 30, 2011. Other investors will have their own timelines and will require closings earlier, perhaps weeks earlier. I have attached a chart below indicating the new loan limits for 1-4 family residences through 12/31/2011 for some investors. 2012 Loan limits for Fannie and Freddie have yet to be announced. For Massachusetts this reduction will impact the these areas as follows: Martha’s Vineyard and Nantucket: Reduced from $729,750 to $625,500; , Essex, Middlesex, Norfolk, Plymouth and Suffolk Counties reduced from $523,750 to $465,750; Bristol county will be reduced to $426,650; Franklin, Hampden, Hampshire and Worcester Counties will remain at $417,000. Please follow the attached chart for the max loan amounts. It is indicated by county. You can also access other states via the website: http://www.fhfa.gov/Default.aspx?Page=185 and click on the HERA Loan Limits at the bottom of the page. Worcester County will get killed! With Loan Limits dropping by almost $100,000, FHA will be effectively increasing the down payment requirements for buyers, if they wish to purchase a home over $298,000. This will have an impact on home prices. FHA is also good for buyers who have less than 740 credit scores. Fannie has price adjustments for lower Ficos and these raise the interest rates to borrowers. The towns of Milford, Westborough, Northborough, Shrewbury, Northborough, among others could be hard hit. Bottom line, Take advantage of the low interest rates and higher loan limits now. Greenpark is currently accepting purchase loans for the higher limits until 8/25/2011, to close by 9/30/2011. Please send me an email me, dgaffin@greenparkmortgage.com with any questions and thank you for reading. Don’t Fight The Fed! Will The Fed’s Quantitative Easing II Policy Cause Residential Mortgage Interest Rates To Rise Or Fall? We welcome for the first time, guest blogger Ricardo Brasil. Ricardo is a Vice President at one of America’s largest Banks, and is recognized as one of the top mortgage originators nationally. For more info, go to his website at www.ricardobrasil.com or call him directly at (617) 897-5192. Some feel there is a good chance that the FOMC’s planned announcement to purchase U.S. treasury bonds will cause mortgage rates to fall even further. Unlike the Fed’s first quantitative easing (QE I) program, however, borrowers could see a muted (or even negative) response by the time QE2 winds down next June when it comes to rates for home loans. Mortgage rates improved substantially the last time the Fed carried out its first Quantitative Easing program from December 2008 through March 2010. $1.75 trillion in bonds and mortgage backed securities were purchased during that time and mortgage interest rates dropped by more than 1% over the same period for a 30-year fixed rate mortgage. In 2010 they have fallen further to just over 4% last week with no points. There are those who argue the Fed’s second attempt at Quantitative Easing, known as QE2 or QEII, is different. Mortgage rates have the QE2 effect ‘baked into the cake’ according to many industry pundits. The goal of this type of Fed action is to lower real interest rates and increase spending in sectors that respond to interest rate changes. This includes home purchases as well as business spending and investment. Quantitative easing could decrease mortgage rates by increasing mortgage backed securities’ liquidity enough that the lower end MBS’s begin to sell. On the contrary, the purpose of quantitative easing ultimately is to stimulate the economy, and if it is successful, over time there should be real indicators of growth that show up in production and employment figure increases. These will surely put pressure on interest rates to rise. Additionally, the direct impact on the economy of this quantitative easing policy will be a weakening of the US dollar. A weaker dollar in turn should make US products cheaper to foreign countries and cause exports to rise. With a weak dollar imported products of all kinds from clothes to consumer electronics will increase in price because it will take more dollars to buy the same amount of products. The increased cost of imports will drive up retail prices and increase inflation. As a result, inflation will cause home prices to rise and mortgage rates as well. This wouldn’t happen immediately but could be expected in the in the not too distant future. Moderate inflation and job growth are what the Fed is looking for. Rising production of exported products should generate more profits for domestic companies and those profits should result in increased production and job growth. That in turn will lead to the stock market going up and for those in the mortgage industry who know this all too well, mortgage rates tend to follow the direction of the financial markets. Rates rise when the economy is clicking on all cylinders and equity markets are moving higher. Rates decrease when the economy and equity markets struggle. As the cliché goes, don’t fight the Fed. Well, when it comes to mortgage rates, when we know the Fed is trying to stimulate the economy and put off dealing with inflation, I would do away with any floating bias and will be taking advantage of historically low rates for the time being without holding off for lower rates that we may not see. Mortgage rates are currently hovering at record lows and remain very attractive especially in combination with low home prices. Although there will continue to be fractional fluctuations in rates over the next few months, mortgage rates should be low but range bound for the foreseeable future before being forced higher by inflationary pressures. After rates improved a bit following the Fed’s announcement they have gone up as recent economic news has been quite sanguine especially with the 151,000 jobs added in October. Mortgage bonds have fallen a whopping 143 basis points in the past 5 days and the yield on the 10yr-note has spiked 28 basis points higher. Ricardo Brasil can be reached at www.ricardobrasil.com or call him directly at (617) 897-5192. Our Mortgage Guy, Brian Cav, is back with his Massachusetts weekly mortgage rate report. JUMBO is the name of the game this week. I have never seen Jumbo Mortgage rates as low as they presently are right now. Absolutely everyone with a loan amount of $523,750 or greater (depends on county) should be reaching out to their Mortgage Banker for updated mortgage pricing, etc. The new home sales helped the stock market post strong gains yesterday, so when stocks advance, their gains come at the expense of higher interest rates. MBS prices are holding steady down near record highs and mortgage rates are holding steady near record lows. This is all I got this week… absolutely everyone under this beautiful summer sun should at least be attempting to refinancing your current home loan. The lowest 30 year fixed mortgage rates remain in the 4.25% to 4.625% range. The standard mortgage rate with closing costs is still at 4.50%, 1 discount point of origination presently can get you 4.375% for qualified borrowers. Borrowers must have a mid FICO credit score of 740 or better and a loan to value of 80% or less. Wednesday’s bond market has opened relatively flat even though we saw weaker than expected results in this morning’s economic news and a negative open in stocks. The stock markets are posting minor losses with the Dow and nasdaq down. The bond market is currently up, which will likely improve this morning’s mortgage rates by approximately .125 of a discount point. The Commerce Department gave us this morning’s important economic news with the release of June’s Durable Goods Orders. They announced a decline of 1.0% in new orders for big-ticket items when analysts were expecting to see a 0.7% increase. This data is known to be volatile from month to month, but this is still a sizable difference. Even if larger, more volatile transportation-related orders were excluded, we would have seen a drop of 0.6%. That was also well short of forecasts, indicating that the manufacturing sector may have been weaker than expected last month. Therefore, this data can be considered favorable for the bond market. The Federal Reserve will release its Beige Book report at 2:00 PM ET this afternoon. This report is named simply after the color of its cover, but it is considered to be important to the Fed when determining monetary policy during their FOMC meetings. It details economic activity and conditions by region throughout the U.S. Since Fed Chairman Ben Bernanke’s testimony to Congress last week gave us a recent update, I don’t think we will see any significant surprises in this report. Therefore, we will likely see little movement in mortgage rates as a result of this report. Also today is the first of this week’s two Treasury auctions that may influence mortgage rates. Today’s sale is the 5-year Note auction while tomorrow brings us the 7-year Note sale. Their results will be posted at 1:00 PM ET both days, so any reaction will come during afternoon hours. If investor interest was strong, the bond market may rally and mortgage rates could move lower later today. However, lackluster demand could lead to bond selling and higher mortgage rates. There is no relevant monthly or quarterly economic data being posted tomorrow. The Labor Department will post weekly unemployment figures early tomorrow morning, but this data usually has a minimal impact on mortgage rates. Since it tracks only a week’s worth of new claims for unemployment benefits, it takes a large variance from forecasts for the bond market to react enough to influence mortgage pricing. Analysts are expecting to see little change from the previous week’s 464,000 new claims. Our Mortgage Guy, Brian Cav, is back from vacation with his Massachusetts weekly mortgage rate report. Interest rates are still hovering around historic lows. Mortgage Rates are still at all-time lows and there is no real economic news due out this week to make any changes in the markets. The MBA Applications, Weekly Jobless Claims, and Fridays Wholesale Trade should all have minimal to no impact on Mortgage rates this shortened week. I hope everyone had a fun and safe Holiday weekend. The conventional 30 year fixed mortgage rates remain in the 4.375% and 4.625% range for well qualified borrowers. To get the lowest possible mortgage interest rate on a conventional loan you must have a credit score of 740 or higher, a loan to value at 80% or less and pay all closing costs including one point loan discount fee. If you are seeking a 15 year term, you should expect those rates to be in the 3.875% to 4.125% range with similar costs. Mortgage Rates are slightly higher than the all time lows set last week, but rates continue to hold near the best levels ever. I see very little to gain by floating so I continue to favor locking all loans closing in the next 30 days. In my personal pipeline, I have even locked a few clients on 45 day commitments to remove the risk of volatility. Wednesday’s bond market has opened in negative ground with no relevant economic news scheduled for release and the stock markets showing early gains. The Dow is currently up while the Nasdaq has gained 25 points. The bond market is currently down 6/32, but I believe we will still see a slight improvement in this morning’s mortgage rates due to strength late yesterday. The stock markets opened strong yesterday also, but actually fell into negative ground during the day before closing with respectable gains. If the major stock indexes repeat that cycle, particularly closing well below current levels, we may see improvements in bonds this afternoon. Since it is an especially light week with no relevant data being posted today, this could lead to a downward revision to mortgage rates this afternoon. However, the flip side of that scenario is if stocks extend this morning’s gains rather than retreat from their current levels. If the major stock indexes move higher, bonds could move lower later today. This would likely lead to an upward revision to mortgage rates this afternoon, but would probably be a minor adjustment. The Labor Department will post weekly unemployment figures early tomorrow morning. This release usually has little influence on bond trading or mortgage rates, but with a lack of important data scheduled for release this week it may draw more attention than usual. Analysts are expecting to see that approximately 460,000 new claims for benefits were filed last week. The higher the total of new claims, the better the news for bonds and mortgage rates. Our Mortgage Guy, Brian Cav, is back with his Massachusetts weekly mortgage rate report. With near record interest rate lows, his sage advice, again, is to LOCK IN! Mortgage Refinancing BOOM! Mortgage Markets are officially at 2010 lows and, extremely close to 2009 lows. We are “near record low” rates, and this is going to be as good as it ever will be, I know, I know… I sound like a broken record. The funny thing is rates are at all time lows and the Federal Reserve has stoppped buying mortgage backed securities a few months ago. U.S. housing and the U.S. economy is the reason for record low mortgage rates, the past 4 months it has all been about economic issues in Europe. Mortgage rates will not go any lower, LOCK in your refinancing or purchase mortgage financing very soon, I know, I sound like a broken record. WEDNESDAY AFTERNOON UPDATE: This week’s FOMC meeting has adjourned with no change to key short-term interest rates. This was widely expected and has not affected the markets or mortgage rates. The post-meeting statement did help influence opinions and bond trading. One of the points of interest was a comment that said the “economic recovery is proceeding” which differed slightly from the previous meeting that said economic activity continued to “strengthen.” Traders are taking that to mean the economic recovery is at a slower pace than previously thought. The Fed indirectly indicated that concerns about Europe could affect that recovery, but said that they don’t expect that it to push the U.S. economy back into a recession. They also said that inflation remains subdued, which means there is no pressure to raise key rates anytime soon. Overall, the lack of a change to rates has had no impact on the markets or mortgage rates, but the post-meeting statement was taken as favorable for the bond market. The lack of concern about inflation and the more cautious remarks on the status of our economic growth makes long-term securities such as mortgage-related bonds more attractive to investors. The stock markets have changed little from their pre-announcement levels with the Dow up a couple of points and the Nasdaq still down a few points. The bond market is currently up, but I don’t think we will see a change to mortgage rates this afternoon since bonds had slipped slightly from morning highs before the 2:15 PM ET announcement. The bond market has improved slightly from its 2:15 PM level, but is still below where it was when rates were posted this morning. May’s New Home Sales from the Commerce Department was today’s only relevant economic report. It revealed a whopping decline of 33% in sales of newly constructed homes, pushing sales levels down to record lows. This further indicates that the tax credits being offered to homebuyers were heavily supporting the housing market. That raises significant concerns about the growth ability of the housing sector now that they are expiring. This data is favorable news for the bond market and mortgage rates because a weakening housing sector will make a broader economic recovery more difficult and eases inflation concerns. Today’s data usually has little impact on trading and mortgage rates, but the size of decline has allowed the news to influence this morning’s rates. The only important release scheduled for tomorrow is May’s Durable Goods Orders, which gives us an indication of manufacturing sector strength. It is known to be quite volatile from month to month and is expected to show a decline of 1.3% in new orders from April to May. A larger decline would be the ideal scenario for the bond market and could lead to a decline in mortgage pricing tomorrow. The Stock Market is extending its gains and Mortgage Rates are starting to go up despite bad economical data coming from overseas. Yesterday afternoon we had a worsening pricing in Mortgage Markets because Greece had their credit rating cut by Moody’s to “junk.” Ouch. Floating your loan is very risky right now with investor optimism improving quickly. With the new Fannie Mae Loan Quality Initiative (eff. June 1st, 2010) please do not take out any new credit, extend any credit or have your credit pulled while applying for mortgage financing. This is extremely important for all of those borrowers currently refinancing and looking to close June and July. Yes, you should be refinancing. The Massachusetts Mortgage Bankers Association says mortgage refinancing applications are up 21% the month of May. The Conventional mortgage rate is still in the 4.625% to 4.875% range for well qualified borrowers. To get the best conventional mortgage pricing you must have a FICO score of 740 or higher, and a 80% or less loan to value (1% discount point quoted with current rates). The 15 year fixed conventional fixed mortgage is currently at all time lows. Mortgage Guy, Brian Cav, is back with his weekly interest rate report. He says while it’s been a “slow boring week for rates, ” rates remain at all time lows. Mortgage rates are currently holding down by 2010 lows, the 15 year conforming hit a all time low earlier this week… but I do not expect them to stay down this long for much longer. It’s been a slow boring week for rates but I expect Fridays Retail Sales to make the Mortgage Markets volatile. I would suggest LOCKing in at these 2010 low rates in the next few days. The conventional rate mortgage remains in the 4.625% to 4.875% range for qualified borrowers, and for a 15 year fixed you should expect rates in the 4.125% to 4.375% . Well qualified borrowers should have a 740 FICO score of better and have a loan to value of less than 80%. Closing costs for this pricing would include 1% discount point of origination for both products. FLOAT your rate for now? I find it difficult to turn down this current mortgage market pricing. The only loans I maybe recommend floating are those that can be locked on a shorter commitment period in the next few days, certainly before Friday. If stocks rally soon be careful of mortgage rates going up as well. Wednesday’s bond market opened in negative territory again following early stock strength. The stock markets are showing gains with the Dow up 120+ points and the Nasdaq up 30 points. The bond market is down 12/32 as investors shift funds into stocks. However, due to some improvements in bond prices late yesterday, we should see little change in this morning’s mortgage rates. Fed Chairman Bernanke’s statement to the House Budget Committee was the only relevant news this morning. He reiterated similar comments made Monday evening that helped influence trading yesterday. He said this morning that the U.S. economic recovery is moving in the right direction and that the European financial crisis will have a “moderate” impact on it but will not derail it. He mentioned that the employment and housing sectors are still of concern but his words seem to have reassured the markets that all will be well eventually. The Fed will post its’ Beige Book report at 2:00 PM ET this afternoon. This report is named simple for the color of its cover, but contains details about economic conditions throughout the U.S. by region. It is relied upon heavily by the Federal Reserve to determine monetary policy during their FOMC meetings. If it shows much stronger economic activity than its last release, we could see mortgage rates rise this afternoon. Particularly if the report indicates inflation is growing. We also have to watch for the results of today’s 10-year Treasury Note auction. Results the sale will be posted at 1:00 PM ET. If investor demand was high for the Notes, we may see bonds rally during afternoon trading, however, weak demand could lead to broader selling in bonds and an increase to mortgage rates. These days, every time I order a Greek salad, the feta cheese makes my stomach churn. I wonder if the Greek economic meltdown has something to do with it! Here’s our Mortgage Guy, Brian Cav, with his weekly Massachusetts mortgage rate report. Mortgage Rates have moved up from the 2010 lows that we had last week, this is largely because of the modest stock rally and investors getting out of risky investments, “flight to quality,” These Greece issues, which are spreading throughout Europe, should keep mortgage rates down thru the summer, and not to mention North Korea is threatening military action against South Korea. Is it time to refinance out of that ARM mortgage? Yes, because LIBOR is rising. It’s time to get an updated mortgage rate quote. The 30 year conventional rate mortgage remains in the 4.75% to 5% range for well qualified borrowers. To get the best mortgage pricing on a conventional mortgage you must have a FICO credit score of 740 or higher, a loan to value at 80% or less and pay all closing costs including an estimated one point discount fee. I am a huge fan of LOCKing in your mortgage interest rate right now. It would not matter to me if you were closing in one week or 60 days out. I would LOCK in immediately. The bond market has moved lower following today’s 5-year Treasury Note auction. The stock markets have also given up a good portion of this morning’s early gains. Yesterday, the Dow was up 56 points after being up nearly 135 points earlier. The Nasdaq fell from earlier highs, and was up only 23 points. The bond market has extended yesterday morning’s losses, and was down 21/32. This will likely lead to an upward revision to this afternoon’s mortgage rates of approximately .125 – .250 of a discount point. Yesterday’s economic data gave us mixed readings on the economy. The more important of the two was April’s Durable Goods Orders data that showed a 2.9% increase in new orders for big-ticket items last month. It also showed a sizable upward revision to March’s orders, indicating that the manufacturing sector was stronger than thought. However, if more volatile transportation related orders were excluded, we would have seen a 1.0% decline in orders. This was much weaker than expected, so overall the data can be considered neutral to slightly positive for the bond market and mortgage rates. April’s New Home Sales data showed a much larger than expected increase in sales of newly constructed homes. This is negative for bonds, but the data usually has little influence on mortgage rates unless it varies greatly from forecasts. This report did show a sizable variance, but it appears that it is has not had much of an impact on today’s rates. The first of two revisions to the 1st quarter Gross Domestic Product (GDP) will be released early tomorrow morning. The second revision to this report comes next month but isn’t expected to have much of an impact on the financial markets. The GDP is the sum of all goods and services produced in the U.S. and is considered to be the best indicator of economic growth. Last month’s preliminary reading revealed a 3.2% increase in the annual rate of growth. Analysts expect a slight upward revision to this reading with the consensus being a 3.3% rate of growth. If the upward revision is much stronger than expected, we may see the bond market react negatively and mortgage rates move higher. If it’s Wednesday, that means our weekly Massachusetts Mortgage Rate Report from our own Mortgage Guy, Brian Cav of Smarterborrowing.com. Take it away, Brian! Mortgage Rates are currently staying and settling down near 2010 lows. I would have thought they would have come up a bit from last weeks close but they have not. Yes, now is absolutely the time to think about refinancing in you have not already. I would suggest LOCKing in at these current mortgage rates. I think it is a gamble if you do not. Remember, mortgage rates always rise faster than they fall. The 30 year conventional rate mortgage remains in the 4.75% to 5.00% range for well qualified borrowers. To secure a 2010 low interest rate on a conventional mortgage you must have a FICO credit score of 740 or higher, a loan to value at 80% or less and pay all closing costs including an estimated one point discount fee. Yes, there are options to finance without paying the discount point. If you are not planning on keeping your home for more than 5 years, you should consider a no cost loan or a Adjustable Rate Mortgage (5/1 ARM, 7/1 ARM or 10/1ARM). On a no cost loan, the Lender will pay the fees for you however you will pay a higher than par market rate. Or you can finance a ARM product were the rates are near all time lows if you know you will be in your current home for a specific amount of time. Wednesday’s bond market initially opened in negative territory but has since erased those gains as stock prices started to fall. The stock markets are in selling mode again with the Dow down and the Nasdaq down. The bond market is currently up, which might improve this morning’s mortgage rates by approximately .125 of a discount point. Today’s important inflation data gave us favorable results. The Labor Department reported that the Consumer Price Index (CPI) fell 0.1% last month when it was expected to rise slightly. Even better news was the core data reading that showed no change from March when it was expected to rise slightly. This means that inflationary pressures at the consumer level of the economy were lighter than thought. That is good news for rates because it makes long-term securities such as mortgage-related bonds more attractive to investors. Later today, the minutes from the last FOMC meeting will be released. Market participants will be looking at how Fed members voted during the last meeting and any comments about inflation concerns in the economy. The goal is to form opinions about when the Fed may make a move to key short-term interest rates. The minutes will be released at 2:00 PM ET, so if there is a market reaction to them it will be evident during afternoon trading. Tomorrow brings us the last relevant economic data of the week when April’s Leading Economic Indicators (LEI) are posted at 10:00 AM ET. This Conference Board report attempts to measure economic activity over the next three to six months. It is expected to show a 0.2% increase from March’s reading, meaning that economic activity is likely rise slightly during the next few months. A decline would be good news for the bond market and mortgage rates, while a larger increase could cause mortgage rates to inch higher tomorrow. Mortgage Guy Brian Cav has his weekly Massachusetts mortgage rate lock advisory. Mortgage Markets have gone up a bit the past 24 to 48 hours. The European bailout will have a ton to do with what happens with markets in coming weeks. Mortgage rates are going up and down based on the guidance they get from headline news and the stocks. With mortgage rates down near the low of the year, I love LOCKing all loans closing in the next 30 to 45 days. Borrowers closing in more than 30 to 45 days should consider paying the extra costs to secure a longer term lock. Most Lenders will charge a 0.25% fee (based on your loan amount) to lock in your loan for more than 45 days. On a $300,000 loan, that is an extra cost of $750 which is a small price to pay over the life of your loan if rates do increase in the next 45 days. I think they certainly will. The par 30 year conventional rate mortgage remains in the 4.75% to 5.00% range for well qualified borrowers. To secure a interest rate on a conventional mortgage you must have a FICO credit score of 740 or higher, a loan to value at 80% or less and pay all closing costs including an estimated 1 point discount fee. For consumers with lower FICO scores (700 and less) and higher loan to values, you should consider an FHA loan. Wednesday’s bond market opened in negative territory following early stock strength. The stock markets are showing noticeable gains with the Dow and Nasdaq up. The bond market is currently down, but we still may see a slight improvement in this morning’s rates as a result of strength late yesterday afternoon. 10-year Treasury Notes will be sold today and could impact bond prices and mortgage rates. The 30-year Bond sale will take place tomorrow. Results of the auctions will be posted at 1:30 PM ET each day. There is no relevant economic data scheduled for release tomorrow, except for weekly unemployment figures from the Labor Department. They are expected to announce that 440,000 new claims for unemployment benefits were filed. It will likely take a much larger or smaller figure for this report to affect mortgage rates tomorrow morning. I don’t expect this to have much weight. The remaining three economic reports will be released Friday morning. This is when we will get April’s Retail Sales data (very, very, very important! ), April’s Industrial Production (important) and May’s University of Michigan’s Index of Consumer Sentiment (important). We are thrilled to have Sheira MacKenzie, a Certified Mortgage Planner with Fairway Mortgage in Needham, MA, who is here to guest blog about the new, tighter Fannie Mae lending underwriting guidelines on adjustable rate and interest-only loan programs. You can contact Sheira at 781-719-4673 or by email sheiram@fairwaymc.com. Her website is www.sheiramackenzie.com. For the first time this year, Fannie Mae announced significant updates to its mortgage underwriting guidelines. The changes include strict new ARM qualification standards, the elimination of a once-popular 7 year balloon loan product, and tighter rules for interest only mortgages. Fannie Mae made its official announcement on April 30, 2010. The changes will roll out over the next 12 weeks. These changes are intended to ensure that shaky borrowers can afford an adjustable rate mortgage not only during the first fixed term, but once the rate adjusts even higher. The first guideline change is tied to ARMs of 5 years or less. This is a huge change which will really impact the ARM market. Mortgage applicants must now qualify based on a mortgage rate 2% higher than their note rate. For example, if your mortgage rate is 5%, for qualification purposes, you must be able to afford a 7% interest rate. The elevated qualification payment will disqualify borrowers whose debt-to-income levels are borderline. Adjustable Rate Mortgages are still a great product… for the right consumer. Today, it is critical to have a team of experts to help borrowers to determine the right loan strategy for their needs. In Massachusetts, we see slightly higher incomes, but consumers need to be aware of their overall monthly obligations prior to applying for a loan. Take your gross monthly income and multiply it by 35%. If your new housing payment (including taxes, insurance, or condo fee) plus your car, credit, and other loan payments is higher than that number, you could be over-extending yourself in the eyes of investors today. Get introduced to a seasoned mortgage expert who can review your credit and monthly obligations with you, and be sure to check with your financial planner prior to embarking on the approval process. Together you can determine if you are best suited for an ARM or fixed rate as well as the best loan strategy for your short and long-term goals. The second change is Fannie Mae’s elimination of the standard 7-year balloon mortgage. Balloon mortgages were popular early last decade. Lately, few borrowers have chosen them, though. Mostly because rates have been relative high as compared to a comparable 7-year ARM. The mortgage must be a purchase, or rate-and-term refinance. No “cash out” allowed. Furthermore, borrowers using interest only mortgages must show two full years of mortgage payments “in the bank” at the time of closing. Earlier this year, Fannie Mae’s sister, Freddie Mac, announced that as of September 2010, it will stop offering interest only loans altogether. Between Fannie Mae, Freddie Mac, the FHA, and other government-supported entities, the U.S. government now backs 96.5% of the U.S. mortgage market. So long as mortgage default rates are high, expect approvals for all borrower types to continue to toughen. Great post Sheira! 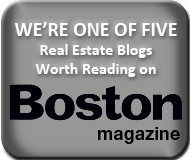 We welcome you to the ever-increasing stable of guest bloggers on the Massachusetts Real Estate Law Blog. And we can attest from working with Sheira that she is truly a highly experienced, trusted professional, whom any buyer would be fortunate to have on their team.